Our family loves leche flan but I don’t usually make this at home. Most of the recipes that I have tried only use egg yolk so sayang naman ang white part and nauumay naman ko sa whitel omelet. So most of the time, I will just buy leche flan. Actually, this is my son’s favorite dessert and whenever he sees leche flan in the menu, di pwedeng hindi siya oorder. He even asked me, what are the names of the restaurants that have leche flan. Last year, we had a chance to visit Blogapalooza and one of the booths there is Amada’s Leche Flan and Desserts. We were able to try their Leche Flan and we all loved it. 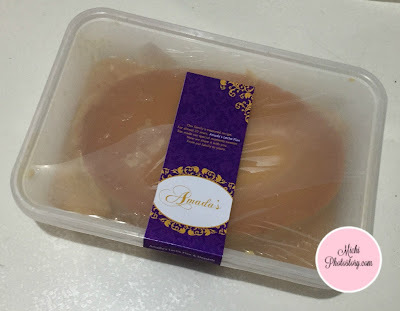 It is not the usual leche flan that we tasted before. 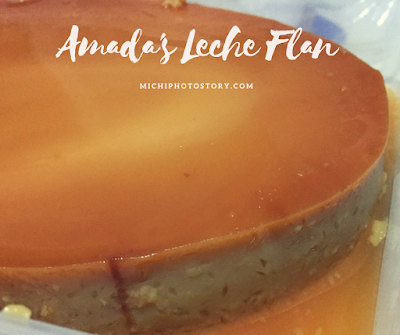 The leche flan is thick, dense, creamy and not too sweet so hindi ka mauumay. As much as I want to order this leche flan last year, they don’t have outlet yet. Meet-up is not possible because I live outside NCR so I was glad when I learned that they have a kiosk in Southmall, it was opened last July 1, 2016. But during my past visits, I can’t locate where is their kiosk but after watching a movie last Saturday, I saw their kiosk on the lower ground floor near Jollibee and Mang Inasal. I bought leche flan at P155 (from P195), sale yata. I was planning to buy their pili roll cake but it was not available at that time. Maybe on our next visit. I'm also a big fan of leche flan just like your son, whenever I visit a certain beanery I always look for it. I like how they wrap it and the price is simply fine. This will certainly be on my list to try when I get the Chance. I am a big foodie and I think seeing these pictures I just want to have something like this right now. By the way the way they pack is actually pretty impressive.